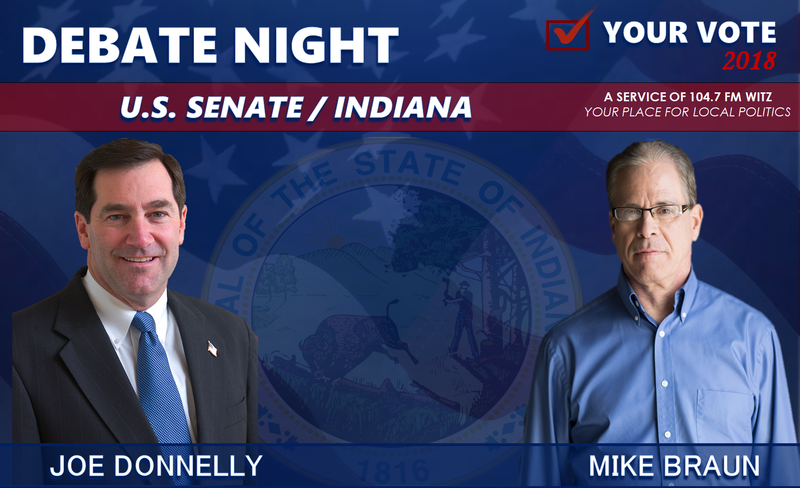 STATEWIDE -- A debate featuring candidates running for Indiana's U.S. Senate seat is tonight [Monday]. It includes Democrat incumbent Joe Donnelly, Republican challenger Mike Braun, and Libertarian Lucy Brenton. It's the first of two Indiana Debate Commission debates and will come to you tonight from Westville at the campus of Purdue University Northwest. The moderator for the debate is Anne Ryder, a veteran broadcaster who now teaches at the IU Media School. All of the tickets are gone but we will stream the debate live here on our website, witzamfm.com.